Christmas really is just around the corner, and I can’t wait! I’ve got a few little gifts left to get but other than that I’m finally done Christmas shopping! I’m so ready to eat my body weight in chocolate, binge watch Christmas movies and hit the boxing day sales (Boots half price, I’m coming for you). 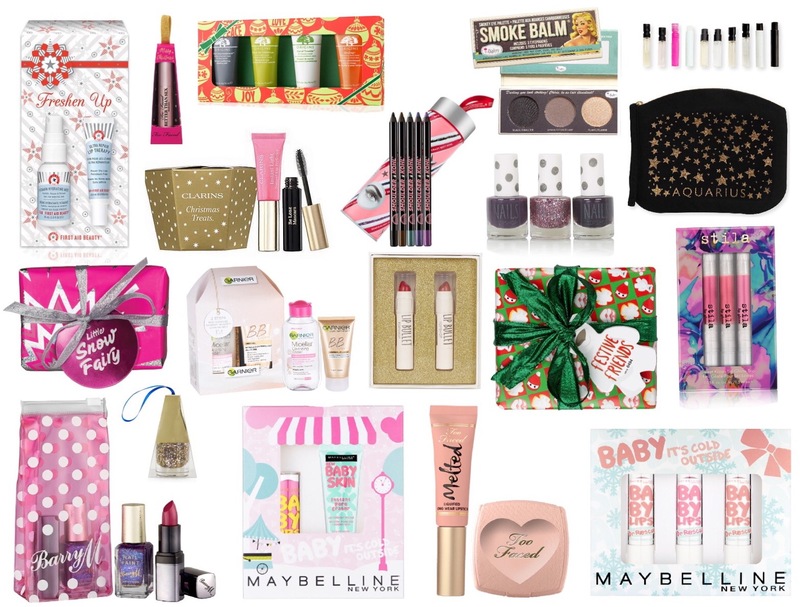 Today I thought I’d put together another gift guide for beauty lovers but on a more purse friendly £15 budget. My last more luxury gift guide went down well, but obviously not everyone wants to spend £20+ on a gift. Hopefully this can give you some gift ideas! Can I just click my fingers and have all these products appear in front of me? No? Oh. As much as I love my high end makeup, I actually prefer the options in this guide compared to my previous more luxury gift guide I posted last week. I love the gift sets brands bring out for the festive season, you save so much compared to the regular price and they always have the cutest packaging… and don’t even get me started on miniature sized products, they’re freaking adorable! So that’s my top budget friendly picks for beauty lovers, hopefully you’ve found this post helpful!